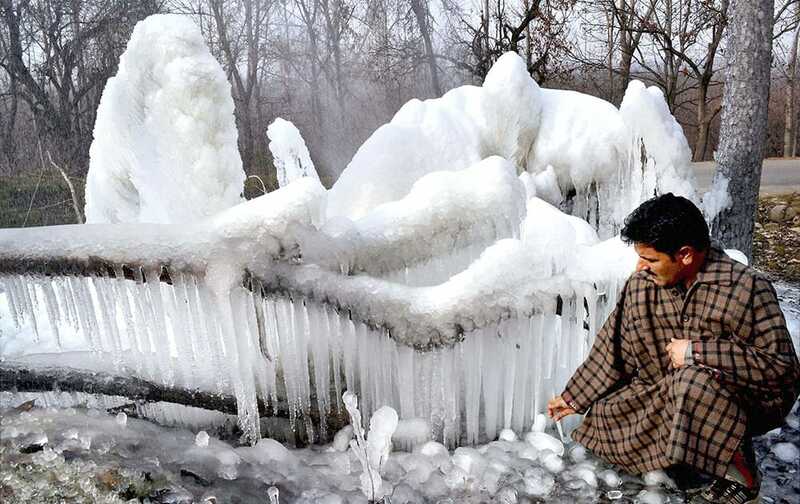 A man breaks icicles formed in a stream and in trees due to sub zero tempatures in the valley, in Srinagar. 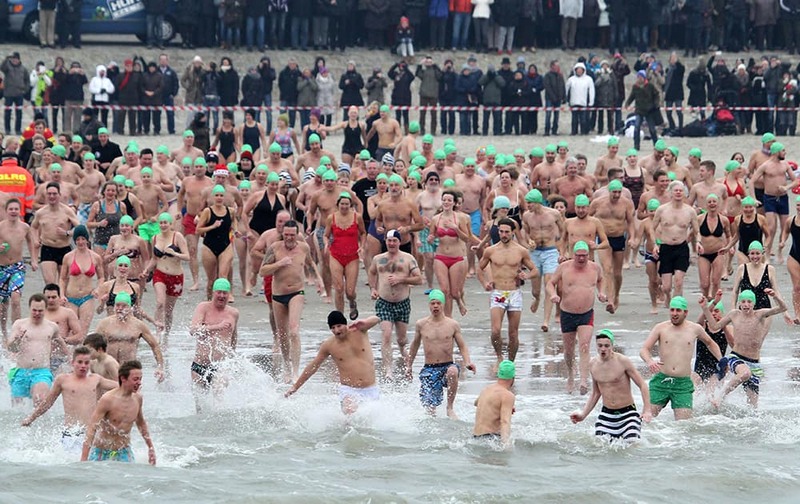 Several hundred people take part in the traditional New Year's swim on the island of Norderney in the North Sea. This image released by the Mubadala World Tennis Championship, Feliciano Lopez, Stan Wawrinka, Rafael Nadal, Novak Djokovic, Andy Murray and Nicolas Almagro pose at the UAE capital’s Central Business District, Al Maryah Island in Abu Dhabi, United Arab Emirates. 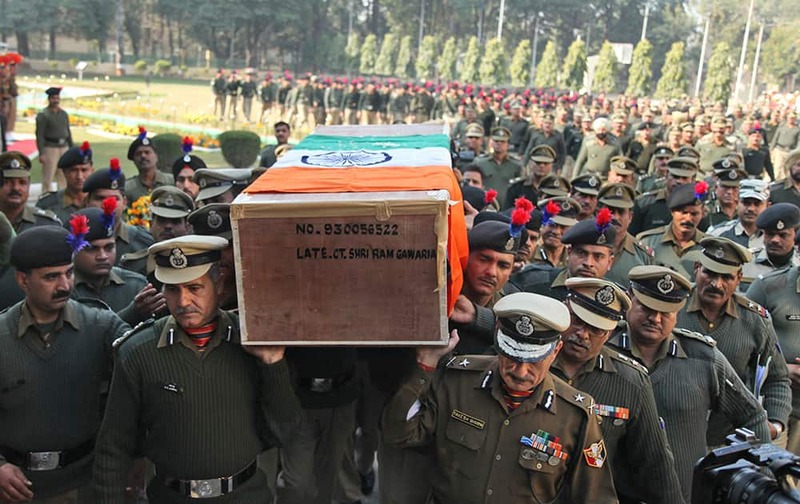 Border Security Force (BSF) officers carry the coffin of their colleague who was killed in a India Pakistan cross border firing, in Jammu. Nurses hold babies born in New Year at a government hospital in Agartala. 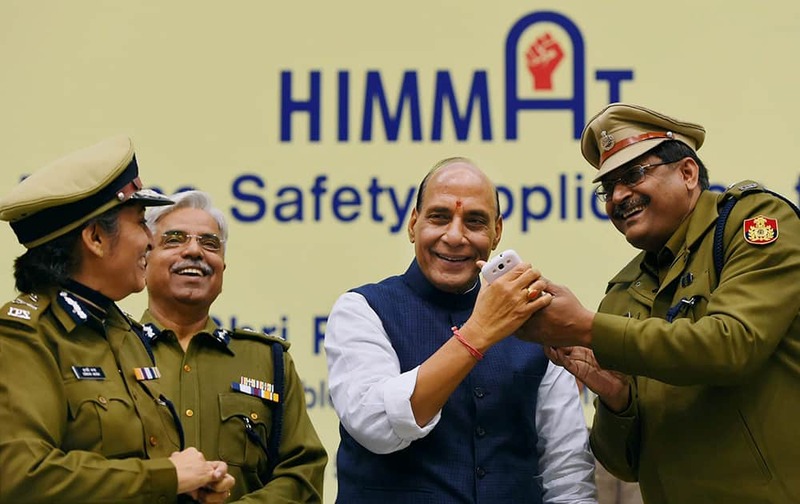 Home Minister Rajnath Singh with Delhi police Commissioner B S Bassi during the launch of mobile phone based application Himmat for the safety of women in the the capital, in New Delhi. 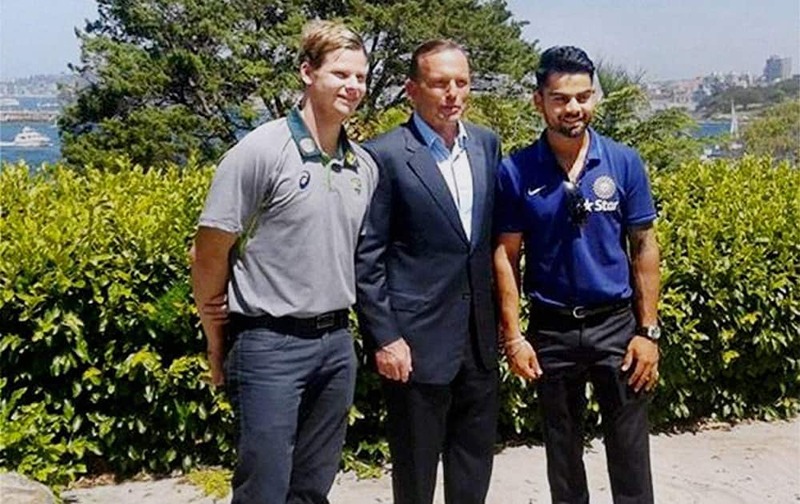 Australian Prime Minister, Tony Abbott with Indian cricket Test team captain Virat Kohli and Australian captain Steven Smith during the afternoon tea hosted by PM Tony Abbott. 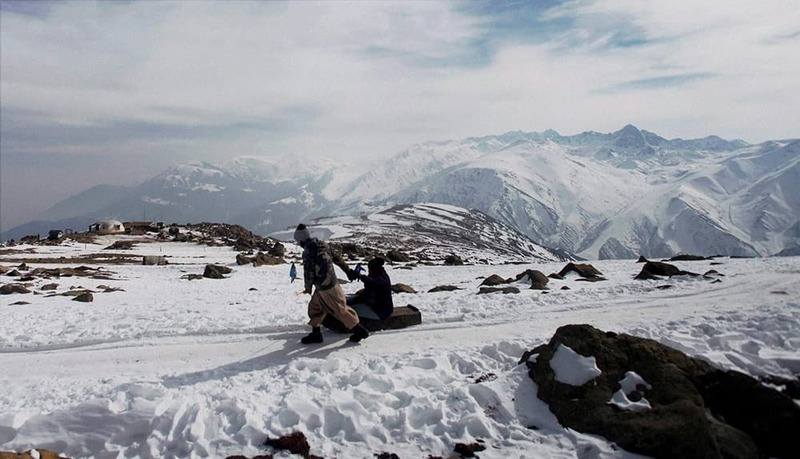 A tourist enjoys a sledge ride on the snow-covered, new years day in Gulmarg. 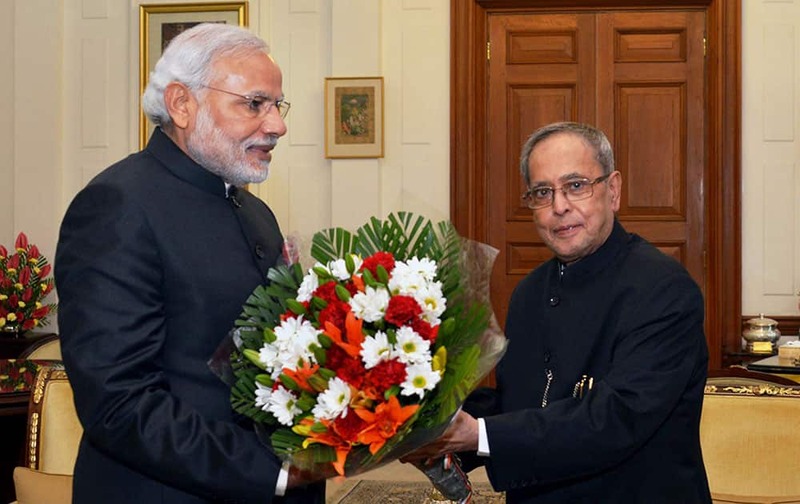 President Pranab Mukherjee being greeted by Prime Minister Narendra Modi on the occasion of New Year at Rashtrapati Bhavan in New Delhi. 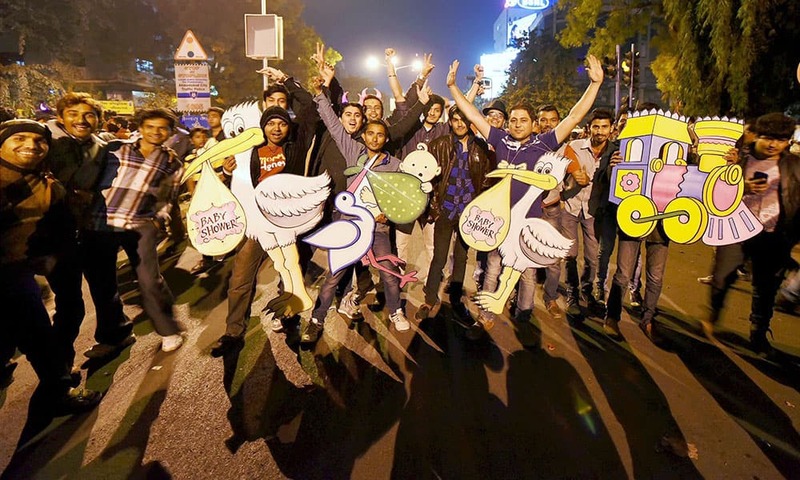 Revelers celebrate arrival of New Year on a street of Ahmedabad. 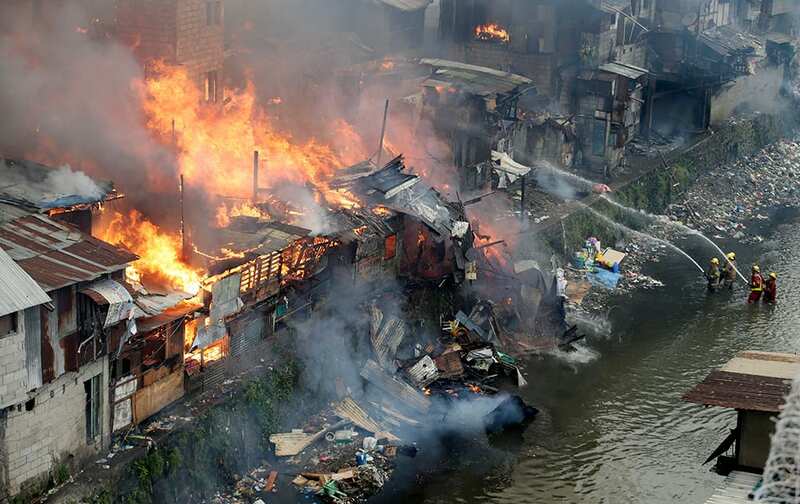 Firefighters fight the fire at shanties from a creek in suburban Quezon city, north of Manila, Philippines during an early morning fire. 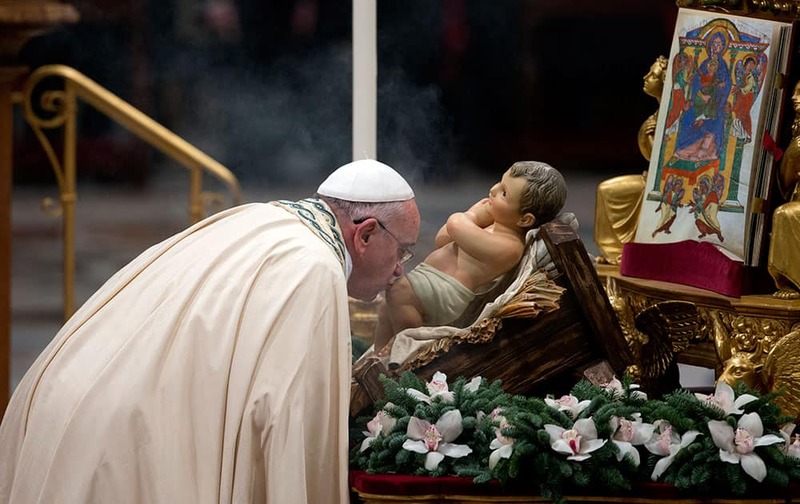 Pope Francis kisses a statue of the baby Jesus as he arrives to celebrate the new year's eve vespers Mass in St. Peter's Basilica at the Vatican. 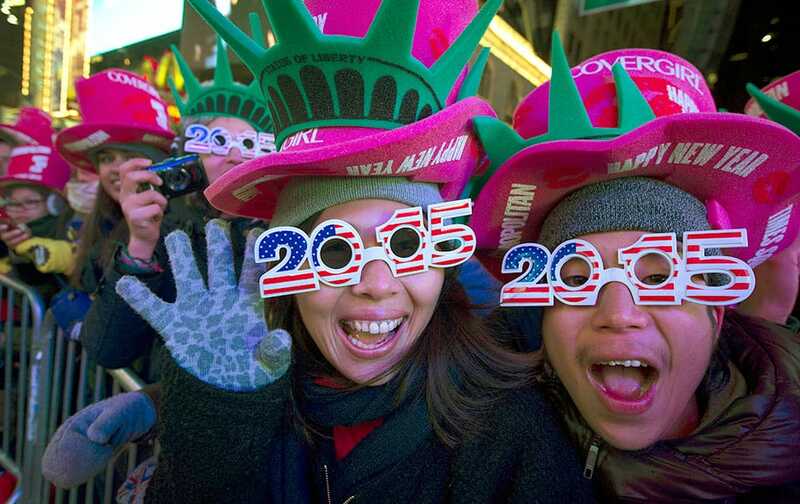 Revelers cheer in Times Square during the New Year's Eve celebration. 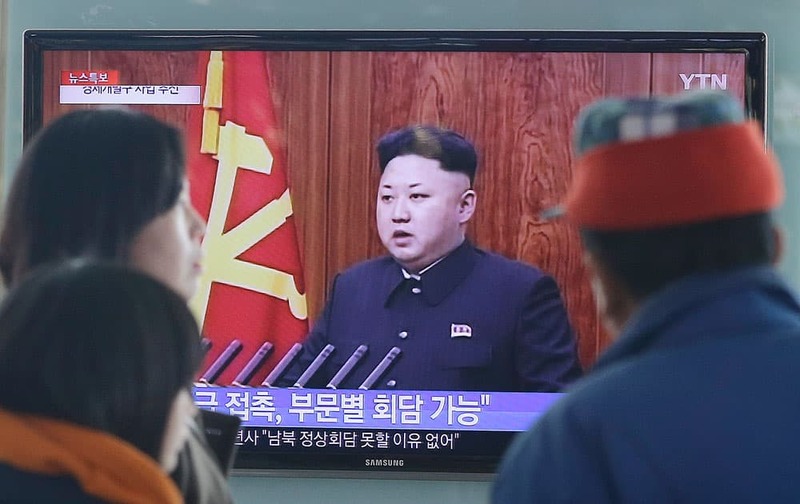 People watch a TV news program showing North Korean leader Kim Jong-Un delivering a speech, at the Seoul Railway Station in Seoul, South Korea. 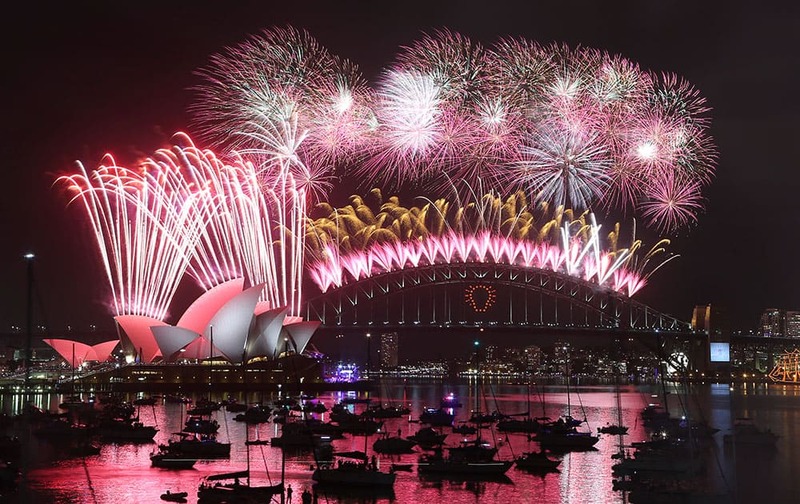 Fireworks explode over the Opera House and the Harbour Bridge during New Years Eve celebrations in Sydney. 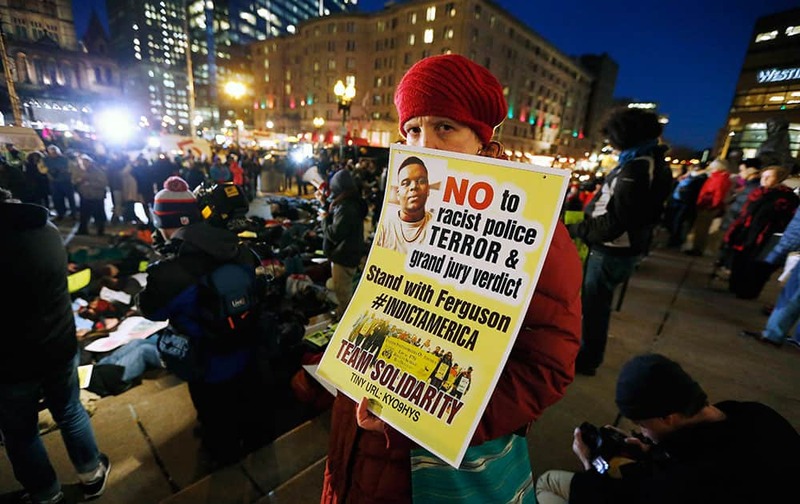 A demonstrator holds a sign in front of Boston Public Library at a protest against recent police killings of unarmed black men, during New Year's Eve celebrations in Copley Square in Boston. 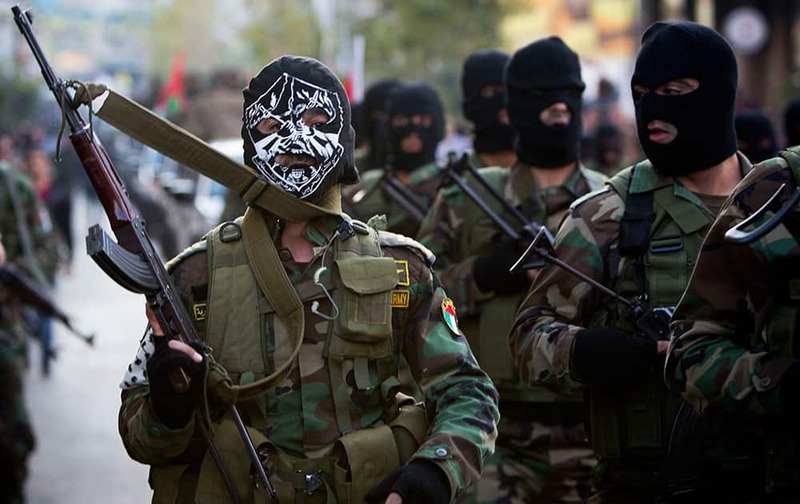 Palestinian security forces march, as they mark the 50th anniversary of the Fatah movement in the West Bank city of Ramallah. 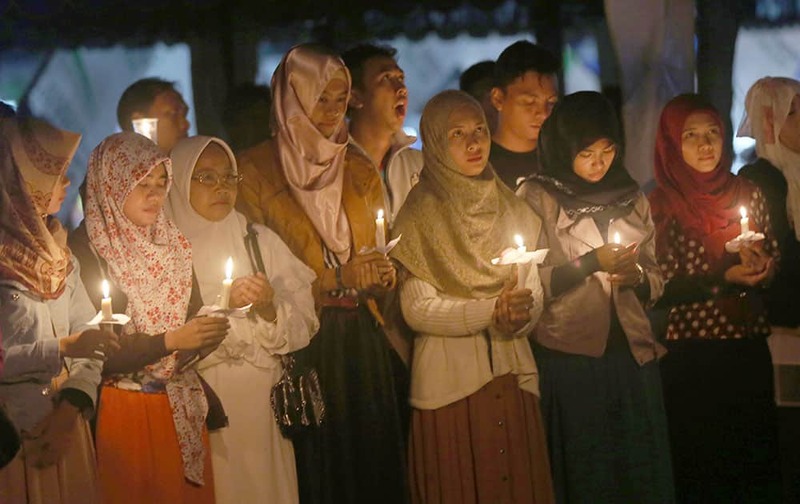 Indonesians hold candles to pray for the victims of AirAsia Flight 8501 in Pangkalan Bun, Indonesia. 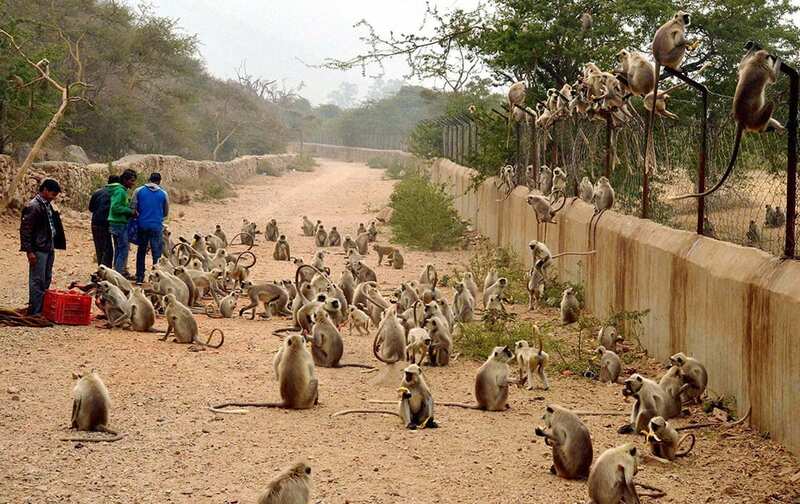 People feed a tribe of monkeys at Punchkund in Ajmer district of Rajasthan.